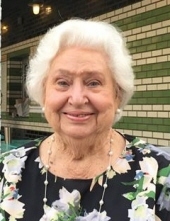 JONES, Yvonne Davis, 82, of Valrico, FL, passed away on Tuesday, January 15, 2019. A native of Early County, GA, she had resided here since 1957 coming from Cedar Springs, GA. She was a member of Redeemer Church, PCA, Riverview, FL. She is survived by her son, Mike Jones; daughter, Pamela J. Lehman; sisters, JoAnn Person and Bobbie Darrah; 5 grandchildren and 2 great-grandchildren. To send flowers or a remembrance gift to the family of Yvonne Davis Jones, please visit our Tribute Store. A reception will follow the committal service back at the church. Donations should be made for the Deacon's Fund. "Email Address" would like to share the life celebration of Yvonne Davis Jones. Click on the "link" to go to share a favorite memory or leave a condolence message for the family.